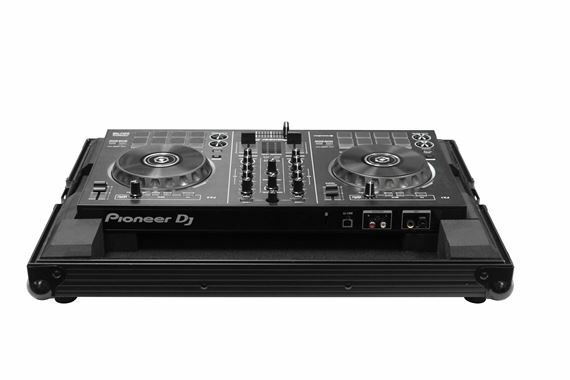 Shop Odyssey Black Label FRPIDDJRBBL Low Profile Case for Pioneer DDJ-RB from AMS with 0% Interest Payment Plans and Free Shipping. 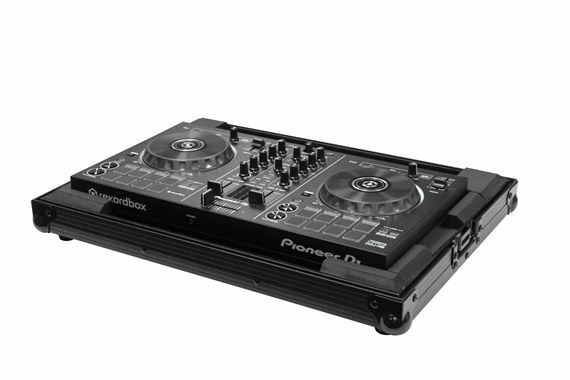 The compact Black Label FRPIDDJRBBL case is specifically designed to hold the Pioneer DDJ-RB Record Box DJ controller. It features Odyssey’s exclusive, patent pending, high-density quick access open port bevel foam interior that neatly angles upward raising the controller for an efficient control surface, another case design innovation from Odyssey. The sleek reverse lid shallow bottom design allows easy access to the front controls and headphone/mic jacks. Each is built with rubber feat, hefty ball corners, a heavy-duty spring-loaded handle, and recessed latches.